Six days after he was buried beneath 25 feet of snow in an avalanche on the Siachen glacier, an Army jawan has been found alive. Lance Naik Hanaman Thappa was evacuated and flown to a New Delhi hospital. Prime Minister Narendra Modi visited Thappa in the hospital. PM Modi hailed his "indomitable spirit". Northern Army Commander, Lt Gen DS Hooda, called it "a miraculous rescue". "Five bodies have been recovered so far and four bodies have been identified. All other soldiers are regrettably no more with us," said Hooda. 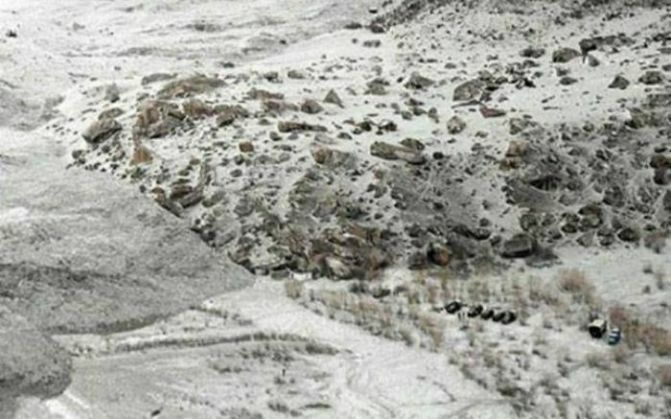 Ten men from the Madras Regiment had been buried under snow after an avalanche hit their post close to the Line of Control with Pakistan, at an altitude of 19,600 feet. The temperature was minus 45 degrees Celsius. Rescue operations are still on. Rescue teams have to cut their way through ice of up to 40 feet, in spite of blizzards, extreme temperatures, low visibility and the effects of a high altitude atmosphere. It seemed unlikely that any survivors would be found, given the temperature range of minus 42 degrees at night to minus 25 degrees during the day.